I just love it. It's all so free and yet so controlled. Controlled in as much as it's highly technical, but free in as much as it's completely wild. As he progressed, Coltrane seemed to be playing things ever faster, in order to get it all out before he died. He died in 1967, when I was in Holland, with this guy Davey Jones and his band Poker Mania, and he was writing a dictionary of hip-speak and was constantly playing John Coltrane. 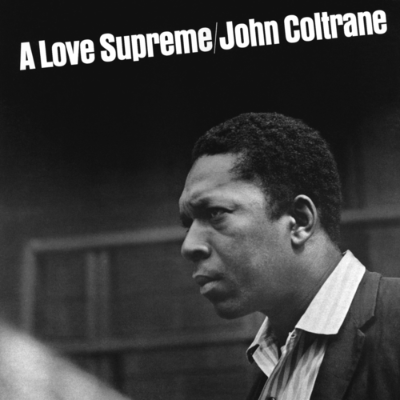 A Love Supreme I thought was awesome, very spiritual, exciting and innovative.